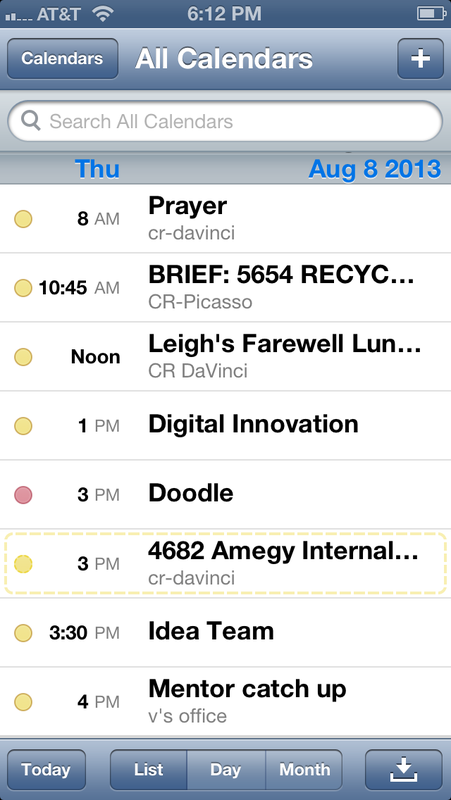 And that doesn’t include the actual work I had to do – plus the fact that I am working late tonight. So what does one do when there isn’t enough time in the day? Make A List – Check. Utilize Your Clone – Although a stereotypical answer, the clone card is still relevant. Sadly, my clone lives in Dallas and has no knowledge of the advertising industry. Make a Cardboard Cutout of Yourself – The perfect device for being in two places at once. 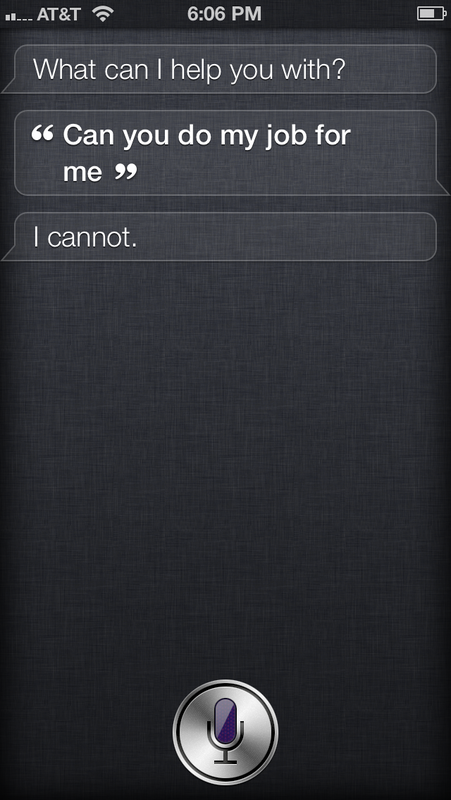 Ask Siri For Help – It’s worth a shot. Pitch A Tent – A stellar idea. I’m considering keeping a tent in my cube. In the meantime, I’ll have to settle for a fort made of paper balls, my emergency hoodie, and some paperclips. Invent A New Time-Scale – If time is relative, then I should be able to make more time. Right? Right. From now on there are 47 Haley-hours in a day. Cry. Then Do One Thing At A Time. – A cathartic process, but could get messy. And it’s far too practical. Do Everything At Once – The inevitable solution. Every time. Thankfully, I’ve been able to tackle my task list and managed to get most of what I needed done. And I didn’t even have to resort to the cardboard cutout. What do you do when you’re out of time?